Last week was so much fun! And so many great homesteads! I'm still trying to visit them all! Thanks to everyone who linked up. It's been a busy week here at my own homestead. I finally got my files organized thanks to JOYS (Just Organize Your Stuff)! I'll be talking more about that soon. And Cathy, who developed the system, is graciously offering a give-away! You won't want to miss out so be sure to come back all week! I finally got my worm composter set up and picked up my new red worms from a friend I met at the garden club last month. Like bees, these are amazing little creatures that do a lot of dirty work consuming kitchen garbage and making it into powerful stuff for your plants. That's coming up in a post, too! One thing I'm reading about and considering is growing grasses or other greens for my chickens along with some meal worms (for protein). I do not have a lot of space set aside for pasturing my girls, but I believe some creative planning might make this possible. When I get this post up, I'd love to have some discussion from other readers who do this. I finally made my first beef stock this week. Remember, I'm from the "Tang" generation and I never saw my mother do this despite all the meat we hunted and cows we purchased to butcher. I might get around to a post on how I did this, but I suspect some of you could do a better job! All the same, I feel like I've leaped another hurdle and accomplished something worthwhile. 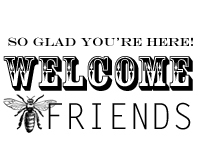 I'll be posting an update on the beehive this week (I hope!). I want to show you my method for elevating it off the ground to prevent ants and other insects from entering the hive. So, that's been my week and what's coming up. 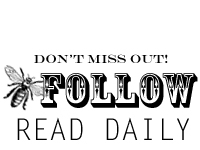 Now for your opportunity to showcase your blog. 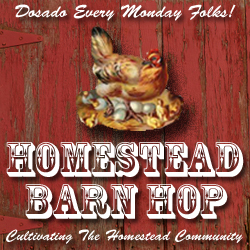 Just write a post on a homesteading topic, add the Barn Hop button (at the top of this post), link to this post, then come back here and add your information on the Linky below. "The wise woman builds her house. but the foolish tears it down with her own hands." It's always good to spend some time meditating each week on how we are building and tearing down our homes (or rather our families!). Thankfully, God's mercies are new every morning! We'll be running our wood stove into late April and having enough fire startes is important. 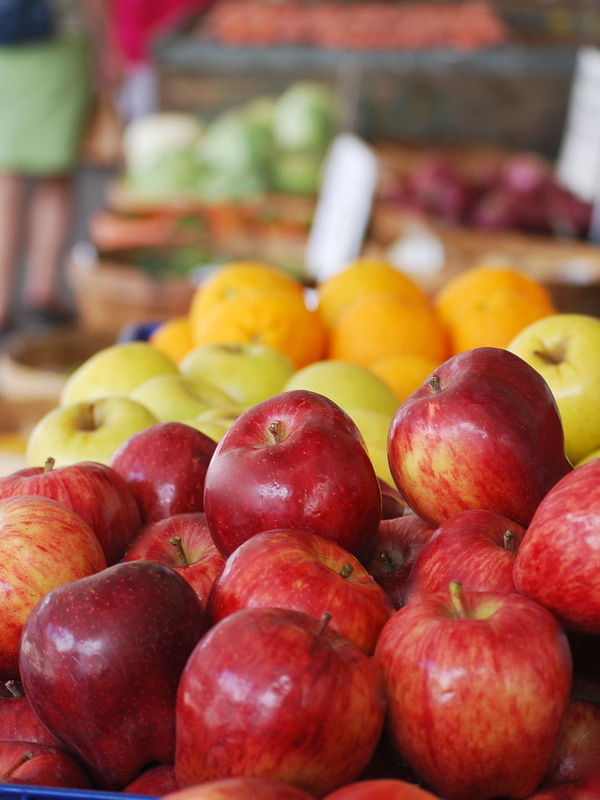 Having a sustainable and frugal source is even more appealing. And with all the items needed on hand, I decided to give it a try. I started saving dryer lint in a plastic container in my laundry room drawer. Since it's right next to the dryer, it was easy to just drop it in there every time I clean the lint screen. If you line dry, I'm sure a neighbor would be willing to contribute their lint in trade for some starters. But be warned. This is a bit like "belly button lint". It's a bit personal and a bit... well, gross. I'm telling you now, before you view any further pictures, that with three girls with long hair, quite a bit ends up in the dryer lint. Pack each cell of the egg carton with dryer lint. I stuffed as much as I could into each one. Melt the candle wax in hot water in a pot. Keep in mind that many candles have a piece of metal at the bottom of the wick, so don't stick it in the microwave. Pour the wax over the lint filled cells. Some people like to really soak their lint in wax, but because I have a wood stove, I don't really want to use any more than necessary (more on this at the end of the post). I used two different candles that were at the end of their life, so the red is from the second candle. Just get enough to coat the top a bit. Pop it in the freezer to harden the wax quickly. Finally, cut apart the cells, leaving the "wings" on for lighting. To use, just light the edge and place it in the fireplace or wood stove. Store extras in a safe location because wax is flammable. So, did I mention that these burn great? I thought it would be engulfed in flames and gone in a minute or two. I should have timed it, but it seemed to burn plenty long and it worked great for me! If anyone else has used them, be sure to leave a comment with your thoughts! When it comes to homesteading, sometimes it can be hard to make lasting changes. It's easy to do something once or twice, but to make a new skill a part of your life on a daily basis, to be characterized by something you didn't grow up doing, and to not go back to the way you did it before... well, it can be down right brutal! 1. Read and study about the new skill to be learned. Gain as much knowledge as I can before I start. That includes talking to friends and others who do it regularly. 2. Make a plan and schedule a day to try it on the calendar - a day when I'm not overwhelmed with other chores or have to go out for any reason. 3. Gather any supplies that might be necessary. 4. Do it and evaluate how it went. Think about what didn't go well and how I would do it differently next time. I might even do some more research at this point. 5. Usually some time has passed between step 4 and this step, but eventually I try it again and maybe even a third time. I begin to get more comfortable with it. 6. At some point - and this is the crucial step that I want to discuss today - I cut all ties to the old way and it's either sink or swim; fish or cut bait. No going back. When I wanted to mill my own grains and make my own breads, I sailed through the first 5 steps and enjoyed it a lot, but I noticed that when I got busy or tired (or dare I say lazy), I would grab a loaf of bread at the store. Soon it became much too easy and convenient to do this. But I wasn't becoming proficient at making bread and I wasn't meeting the goal I had set for my family - to provide the most nutritious option available. I remember one particular day, clearly realizing that summer was upon us and I had the perfect opportunity to make a clean break from store bought bread. In my mind I made a commitment that I intended to keep - no more excuses and no more store bought bread. Period. And then came the day about a week later when we were out of bread and we needed lunch. I realized I had to fish or cut bait - and fish I did! I got creative for that meal and made something else and then I got after making bread! And I kept working at it until one day, my loaves started improving significantly. (My husband was a very patient man!). From there, I began to remember the steps and do them without so much thinking (you should have seen how marked up my recipe was with all my notes!). And eventually, I was able to teach my oldest daughter who makes most of our bread right now. In the last 2 years, I would say we've only bought about 4 loaves of bread with the exception of sourdough for special occasions because I haven't learned that skill - yet! 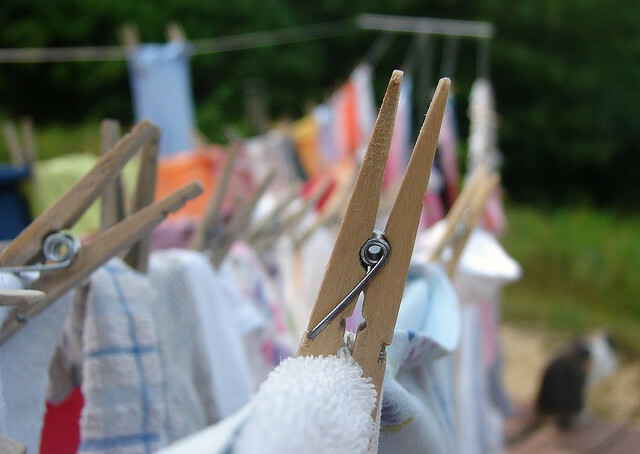 Recently, Kendra at New Life On A Homestead, shared how she cut ties with her dryer. She'd been wanting to line dry all her clothes, but kept putting it off. But when she redecorated and organized her laundry room, she pulled it out and set up a clothes drying rack. The break was made and victory attained! Some of you may remember my post on Dinner Napkins last year. I grew up using paper napkins (didn't you? ), but I wanted to eliminate this purchase from my shopping list. So I made up a few and tried to commit to using them at least once a week. This worked pretty well for a while, but again, we slipped back into using the paper napkins. So about a month ago, I did what needed to be done and made a clean break from the paper altogether. When the last paper napkin was purchased, I refused to buy more. Since then, we've used only cloth napkins and it's worked out fine. I thought it would require a lot of extra washing, but since we only use one a day per person, I just add them to something I'm already washing. And my 8 year old gets a chance to finally iron - she loves it! Isn't that sweet! Over the years, some other things I've made a clean break with include purchased laundry soap, white sugar, air conditioning (I live where it's just not that necessary, but if I was in the south, this would not get cut!) my living room heater (switched entirely to the wood stove), commercial deodorant, hair coloring, TV in summer, and store bought eggs. There's more, but this gives you an idea. So, what's on the line to be axed in the future? Well, looks like the dishwasher is getting the boot this week. It's been a pain for a while and I think we'll give it a rest except on special occasions and hand wash the rest of the time. And I think one day the TV will get cut off permanently. But I'm most anxious to switch to my own yogurt and other cultured dairy foods (I'm taking Wardeh's class right now). 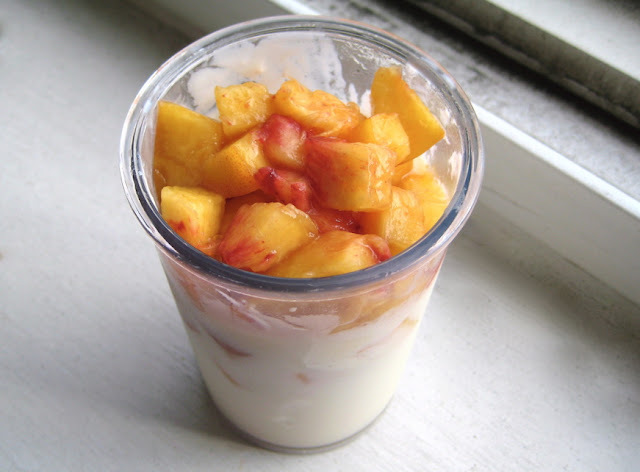 I've made yogurt in the past, but I keep going back to the store to buy more. What's with that when I know how? The simple truth is... I don't practice it enough to make it routine. But if I do it over and over again, that's when the real breakthrough occurs. While these things may seem foreign to us in our modern society, they aren't really hard things to do, just different. And because it's different it requires practice. 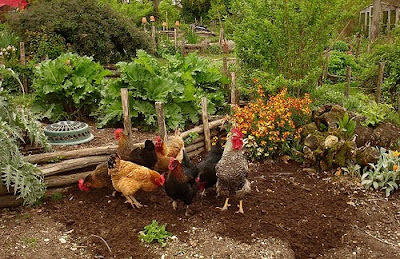 For most of us, a significant aspect of homesteading today is embracing a new lifestyle change. You choose the things you will adopt and make your own, but in doing so, you must leave behind the former ways and take hold of the "new" old ways of doing things. 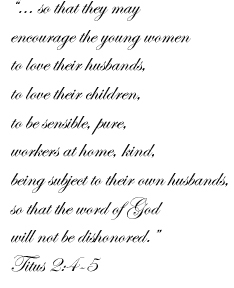 We're setting the example for our sons and daughters. Let's make 'em proud! What's the hardest thing you're leaving behind and embracing? I did it. I finally picked one. A tiller for my garden. Which one did I pick? The Hoss Wheel Hoe, modeled after the original Planet Jr. And I'm not disappointed! A lot of thought went into my decision and for those wondering why I picked this one, I'll share with you my thoughts on the subject. Second, I need a tool that I could use myself without the help of my husband. I can't tell you the number of times I've had to wait until he was available to run a borrowed rotary tiller so that I could get in a row of seeds or plants. And there were times when it just didn't get done! So doing this myself was a very high priority. Oh, and I asked my husband to compare the Hoss to a traditional gas powered tiller and he felt the Hoss wasn't any harder to handle because the gas powered tillers bounced around so much and had to be maneuvered at the end of each row. The Hoss required some upper body work, but nothing like he expected. Fourth, I needed a cultivator that wouldn't be too invasive on the ecosystem in my garden. I want to encourage earthworm activity, not destroy it! This tool is perfect for turning just enough to break up the soil to plant in. Which is what I wanted. 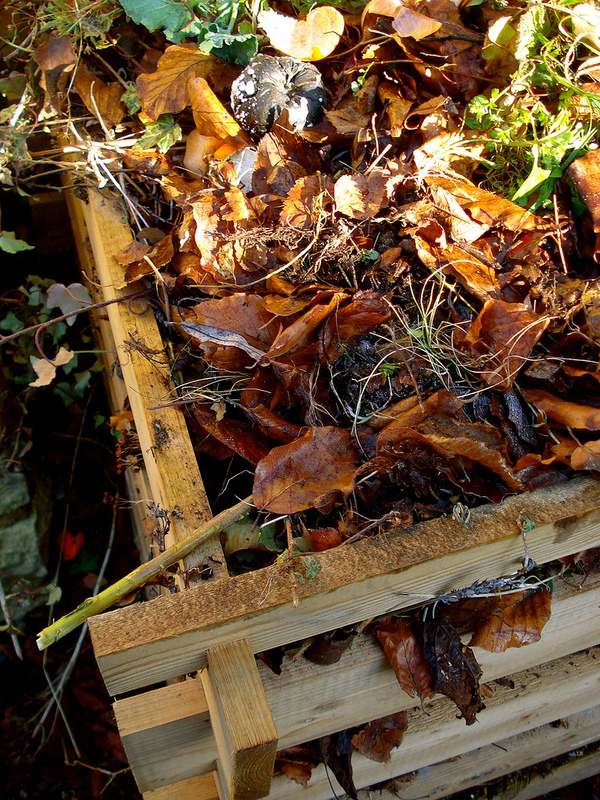 The top layer is broken open and the roots of plants near by will still be safe. Fifth, I wanted a tool that wouldn't require constant maintenance. Seriously, has anyone ever been able to start a gas powered rotary tiller on the first try? Ever? Or how about having it run all season without a repair? I don't think there's such a thing. Perhaps I'm wrong, but it has not been my experience at all! The Hoss is like a simple tool you studied in fifth grade science class and therefore, little to go wrong. The handles are of solid oak and you can get replacements or different handle designs if you prefer them, but the likely hood of me needing to do this is slim. And see that wheel? No inflatable tube to get punctured or flat. And there really isn't a big benefit in having one in this situation, so why have it? The steel wheel works great and will last a lifetime. Sixth, I needed to reduce the amount of time I was spending weeding and cultivating. Yes, I'd like to be in my garden all day long, but unfortunately, I have other chores that need tending to as well. My husband and I were trying to gauge how much time this hoe would save me from doing the same thing with a hand tool and we guessed it was at least 10 times faster if not more! Finally, I wanted a tool that didn't require a power source other than myself. No one can be 100% sustainable, but we can certainly reduce our dependency on power when it really isn't necessary; I just don't need it for every single tool in my arsenal. Someday I'd love to go off grid; the less stuff I have that needs power (whether gas or electric), the easier that transition will be. So there you have it. My reasons for choosing the Hoss. Let me take this opportunity to mention that I purchased my hoe before Hoss advertised with me on my blog and while they pay for advertising space, they do not pay me to write posts and promote their product. I promote only what I like and I choose advertisers carefully. And I must say... I love my Hoss! This weekend I watched a series of videos about the coming food crisis on Backyard Food Production which I found very fascinating. Besides discussing various reasons why our grocery bills will be going up this year, Marjory Wildcraft lectured on gardening solutions to help reduce food costs. Let me say here and now, I will not be able to do all that she does anytime soon and I just about passed out when I saw the number of gardening beds required to be 100% self sustaining, but I did glean some terrific ideas and was encouraged that I'm on the right track! For one thing, she didn't say you must be 100% self sustaining or else. Instead, she encouraged listeners to consider trimming 50% of their food costs by producing it themselves. Now that's a challenge I might be up to meeting fairly soon! Since I keep an online budget (and have for several years), I decided to go back and look at the percentage I spent on food for the last few years and I found that as my garden grew, the percentage I spent on food dropped. And if I take into account the fact that food prices have been rising, the percentage I saved would have been even greater. What my figures didn't reflect was the dollar amount I spent on seed and equipment. True, gardening is not free, but once you've purchased a few necessities, you can be more frugal and get more bang for your buck. And if you save seeds... well, that's even better! Now you're making steps toward sustainability! "Gathering one’s food and sustenance was just about an all-consuming struggle for survival. Everyday eating was a means of survival, with occasional feasts that were highly anticipated. And even when the industrial revolution took place during the 18th and 19th centuries, many still spent a large portion of their income on obtaining food. By the early 1900’s a family spent about 43 percent of their budget on groceries, but by the late 1980’s they only spent about 19 percent. Some of this was due to greater farming technology that resulted in falling food prices, but regardless, the results has meant that most families now can spend less on food and more on wants and desires. And with this new affluent lifestyle we have more disposable income to eat out and purchase “treats” that once were rare occasions." Hmmm... Historically speaking, that's a lot of work to get food for the family! Now contrast that with the fact that last year my family only spent 11% of our budget on food. That doesn't count what we ate out, but we don't eat out much, so I doubt it would change that figure significantly. I'd like to think I did a terrific job gardening and producing our own food! But it's more likely that food prices in the States have been fairly cheap in recent years. It definitely feels like we are entering into a period of rising food costs. We've become accustomed to food being inexpensive and readily available. You've seen it yourself, I'm sure. • Our ancestors, recent and from way back, struggled to put food on the table in ways that we can't even imagine. • We've become a bit soft; expecting food to be on the store shelves and always cheap. 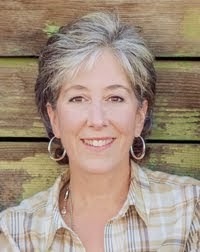 • We do have options if we will choose to have a paradigm shift in how we acquire food. • It's okay to work for food! Literally. In fact, it's probably good for us. We'd eat a lot less junk if we did! • Urbanites and country folks alike can participate in reducing their commercial food consumption. It just takes some creativity and making different choices. For example, how much lawn does one really need? Seriously, as a kid we played ball in the street and had a great time! Remember the victory gardens of WW I and II ? • Consider changing just one thing you do to acquire food this year. 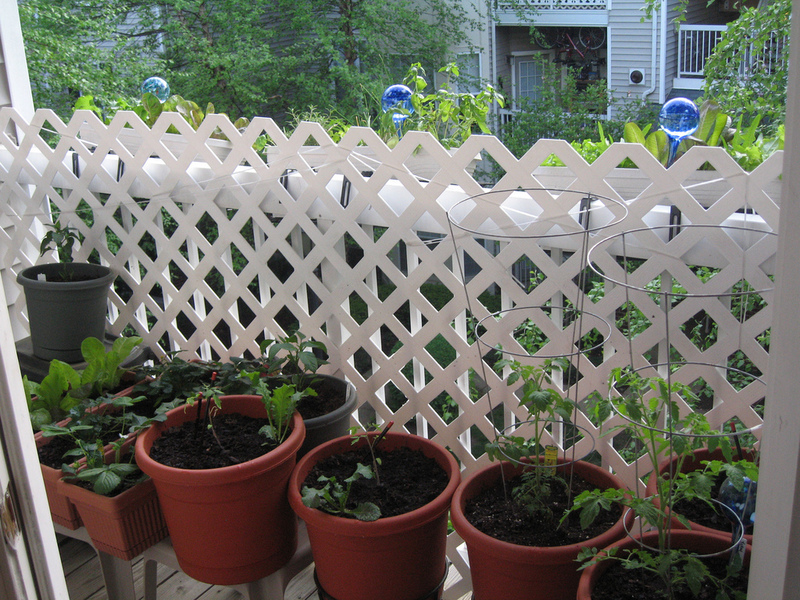 For example, if you always buy tomatoes at the store, try growing some of your own, either in pots or the ground. How about herbs this year? Their easy and fun! 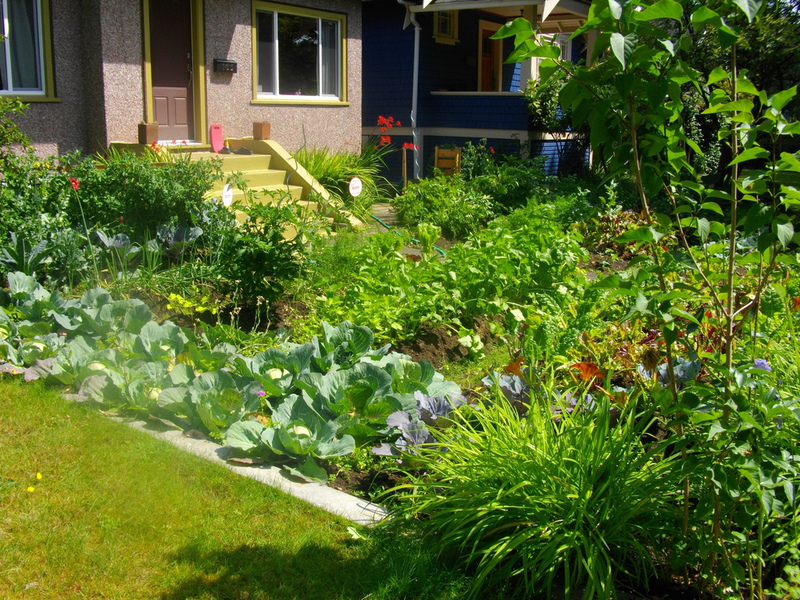 • If you've been growing your own food for a while, plan to add one thing to your garden this year that you purchase from the store. 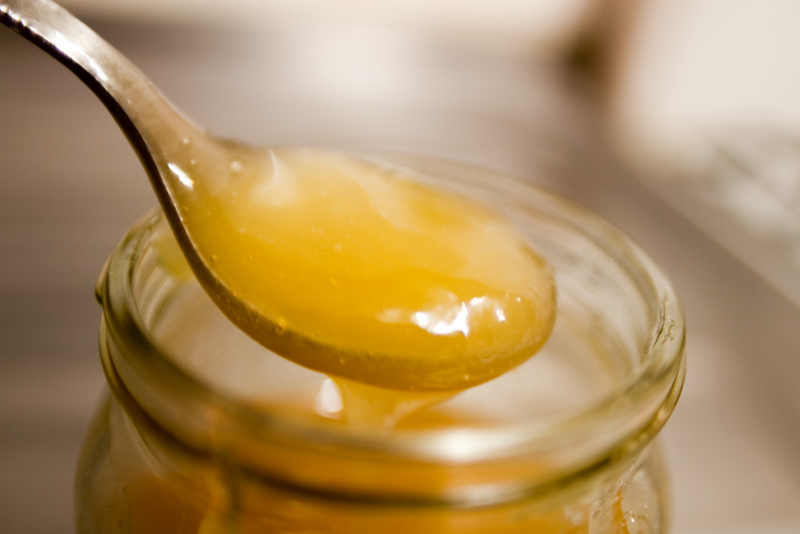 Or try one new method of food preservation to extend the bounty into the winter. 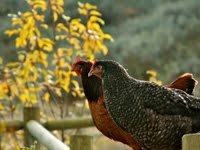 • Learn a new skill to be more self sustainable, such as composting or raising feed crops for your animals. 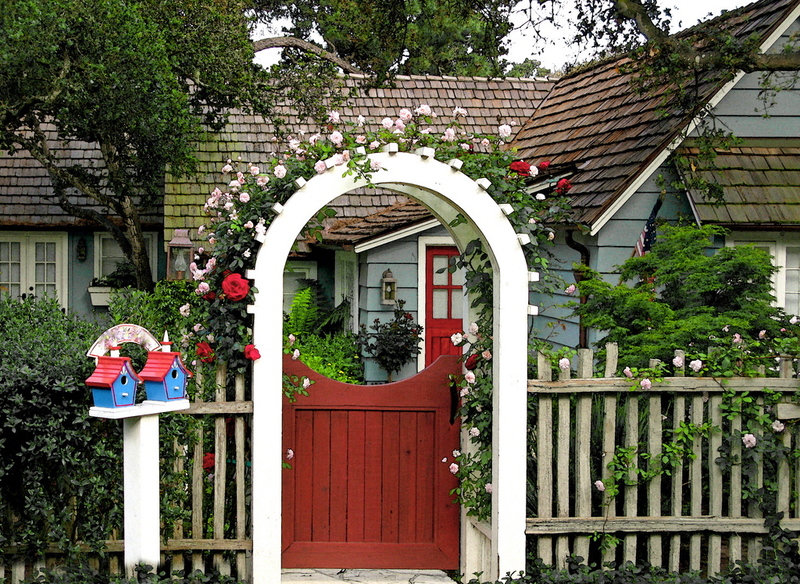 • Besides a garden, consider one other food item that you could add to your existing homestead. Marjory raised meat rabbits. Many have added chickens for eggs, goats for milk, or a pig for meat. • Get your gun permit and hunting license this year or your fishing license and add to your deep freeze. • Make a friend and start bartering food items. If you raise chickens and have eggs, trade with someone who has goats and milk. Marjory mentioned that she trades beef with her neighbor and in exchange receives milk (if I remember correctly!). Want the ultimate challenge? Do something this year to reduce your consumption of municipal water: collect rainwater and use it for watering your garden. (Be sure to check if this is allowed in your area - it varies by location). This year, my family will expand our garden by 1/4 again. We will double some of our crops and Lord willing, have more food than last year. Also, we will raise our first batch of meat chickens and start our first hive of bees. Little by little, it all adds up. When I look back at just 3 years ago, it's really amazing what has been accomplished over time. I just have to remember to be patient and recognize how far we've come! What will you do that's new at your homestead this year in order to be more sustainable in terms of food production? • and Me, right here! 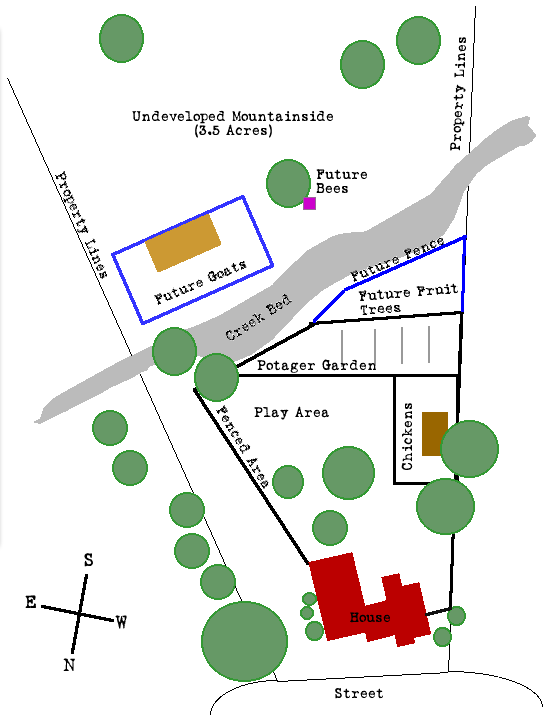 I thought it would be fun to show you around my own property this week, beginning with a layout of the land. My homestead is situated on nearly 4.5 acres in the Sierra Nevada mountains, so we get the cool nights and warmer days because the High Desert is so close. Those cool nights can make things tough at times - like gardening, even in the summer! On the upside, I don't have to run an air conditioner! Keep in mind this drawing is not to scale. In fact, the garden looks longer and narrower than it really is. But for the most part, it's pretty accurate and gives you an idea of what I'm dealing with. Most of our property is actually mountainside (look in the background of each photo for an idea), so terracing is a must. Even in the garden and play area it is sloped, so nothing is truly flat. 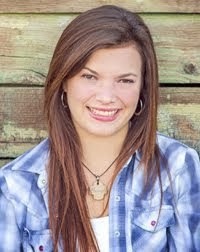 (If you click on the photo, I think it will make it larger and easier to see). The play area is nice and large with huge oak trees shading most of it. We are hoping to eventually plant a low water grass to keep the dirt from being such an issue! Without rain each summer, we would have to water it and that really isn't something we want to do. Once or twice during the summer would be one thing, but weekly? $$$! So I've found some seed at High Desert Gardens that I want to try this summer. The chicken coop (or the Hen Hilton as we fondly call it), is almost finished. We still need to hook up the electricity and water, install windows, and add some plants (see my dream coop here). And I would like a few window boxes for charm! The yard is plenty large enough for the "girls" to scratch and peck and I occasionally let them run in the garden. Also, there is a small run that they can go into directly from the coop - day or night - and still be fully protected. That way they can stretch each morning until we get out there to let them out. The garden is really a mess in this picture. Strictly functional, not beautiful, and in need of weeding, but it was the only photo I could find that gave a large view of it. I call it a potager garden, but only because I grow both flowers and vegetables in it (and nothing was blooming at the time). But I've got big plans and I hope to eventually post some before and after pics. This just goes to show that my homestead is NOT perfect (lest anyone seriously thought so!). 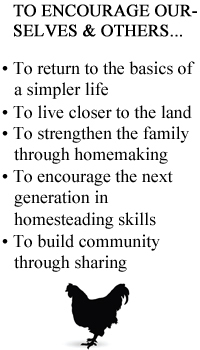 And this would be a good time for me to mention that no homestead is ever perfect. Each location has it's own pros and cons; and you must focus on what you can change and work with what you have! Anyway, it started out small and has grown each year. I'll do a better tour of it on another Homestead Barn Hop. Behind the garden is an a small patch of ground just before the dry creek bed where we plan to plant some fruit trees; actually, it's no longer a dry creek bed. After 8 years on the property, it has had running water most of the winter this year due to all the rain. I love it! I wish it always had water! Both apples and cherries do really well here, as do a few other fruits including berries, however, they will have to be fenced to protect the trees and bushes from deer and elk. Still to come are the goats and beehives. The bees will go under an oak tree outside the fence so that they are shaded a bit during the summer, but get some sun during the winter. The only negative is that this is a north facing slope. I'm still not 100% set on this location, but after two years of thinking on it, it's the best I could come up with unless I actually kept them in the yard. The kids begged me not to. And the rest of the 3 1/2 acres? Well, if we were younger, I'd terrace it for lavender or grapes. And don't think I've ruled it out completely! You never know! Now it's your turn! Write a post on something about your homestead, or something you're doing on your homestead, or any homesteading topic. Then come back here, click the Linky, add your caption, a URL, and a photo so that we can hop on over to your homestead and visit! 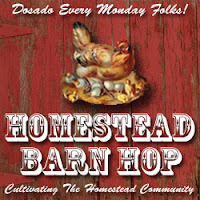 Please be sure to add the cute Homestead Barn Hop picture to your post and link it back to one of our four host blogs so that others can participate in the fun, too! My brain is so full of great information that I've gleaned from reading Fruitless Fall that I hope I can articulate some thoughts in a meaningful manner here on the blog. I don't want to spoil it for those reading the book, but I am a bit impatient to talk about what is going on in my mind. I really hadn't thought of some of these issues in depth, but when I read them, knowing what I know about agriculture and how we do things today, it rang very true and made sense. In the wild, a bee forages on whatever is blooming at the time within about a 2 mile radius of the hive. They can travel further, but 2 miles is the norm. And because different flowers and plants are blooming at different times during the year, bees have a varied diet over the course of a season. Having this varied diet is good for bees just like it's good for you. Different plants produce different nutrients. And bees need more than one or two nutrients. You wouldn't eat donuts 365 days a year, would you? (Please tell me no!). 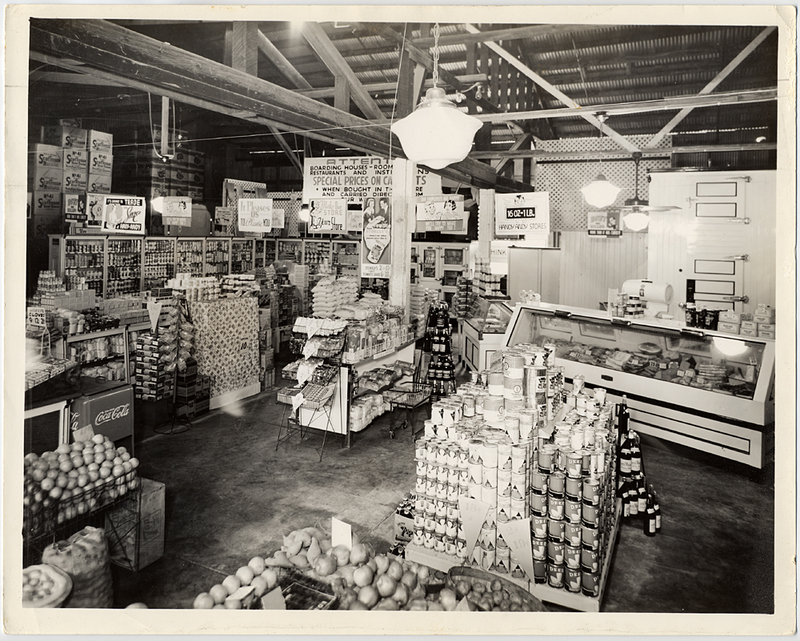 In the past, farmers grew a variety of crops and sold them locally. Farms adjacent to each other, might grow totally different crops. My husband's grandparents mainly grew potatoes and tomatoes, but other farmers near by grew carrots and other crops. So within a couple of miles, there was variety. And the bees had their nutritional needs met whether they were wild or kept in a hive box. Today, farming is much different. Monocrops cover the countryside with very little to break up the landscape. 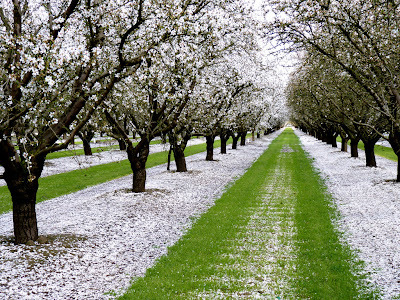 Acres upon acres of single plant crops and orchards cover miles of territory so that bees see only one cultivated crop at a time. And with the widespread use of pesticides, native plants (and weeds) are almost non-existent in these same areas. 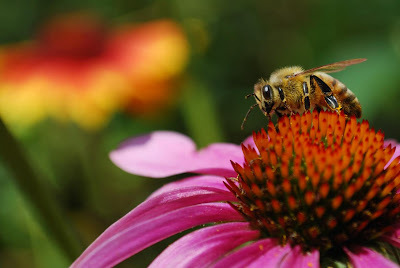 It's true that beekeepers truck their bees to different areas of the country depending on what needs pollinating at that time (it seems to have worked well for both beekeeper and farmer - in the short run), but keep in mind that a worker bee who forages for the colony only lives 4 - 6 weeks. So during a particular bee's lifespan, it will only forage on one or two crops if it's working for a beekeeper who services the agriculture industry. Are you starting to form this picture in your mind? Do you see any problems with this? Since the worker bee feeds the bee "babies", they ( the worker bees) are passing on the nutrients brought back into the hive to the babies. If there is only one crop for a diet, that is all the babies get. And if that crop is high in one nutrient, but low in another, that new baby bee will be deficient in whatever that crop is lacking. A lack of nutrients means weak bees with suppressed immune systems. A weak immune system means a bee susceptible to things like Varroa mites, nosema, bacteria, fungi, viruses, and the list goes on and on. It can also mean bees with deformities. And if the cycle continues through several generations (which is one season), imagine the stress on a hive during that time. Any wild thoughts running through your mind yet? 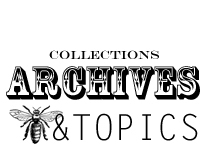 Things like Colony Collapse Disorder? Now I want to say a word here about monocrops. I've not studied the history of the emergence of monocrops, but one can probably assume that it came about as a result of simple economics - supply and demand. Or would that be demand and supply in this case? Oh, that it would have been out of the noble desire to feed the world, but I seriously doubt it. It's more likely that the world wanted cheap food to feed themselves. And Americans have been happy to accomodate. Farmers who have succumbed to the monocrop practice are not evil and not greedy. They're just trying to make a living. But sometimes we need to look at the way we are doing things and assess whether or not it's working well for us. And if we look at what's happening to our bees (and our chickens, and our cows, and so on and so on...), it's not good. It's really amazing how dependent we are on God's created order, all the way down to the humble, little bee. But that discussion is for another post. 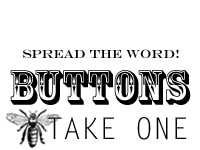 If you have any inclination what-so-ever to keep bees, consider that you can give them a varied diet from your garden, around your property, and in a neighborhood. You probably have more to offer than you realize, and certainly more nutrients than a monocrop! Tell me your thoughts on this topic! I'm anxious to hear! I know what you're thinking. 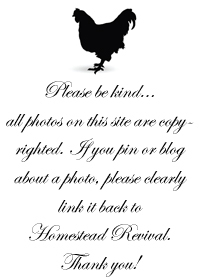 Probably something along the lines of... "I thought this was a homesteading blog?". And it most certainly is! My homestead includes my house. 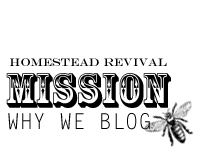 Why do I always feel the need to apologize for a post about decorating on a homestead blog? Apparently I must have a hang up about this, but the truth is... God is a god of order and beauty. And He created that desire within each of us. So, no more apologies... just know I'm craving some organization and beauty right now; no doubt the fact that it's the middle of winter has something to do with it! The Problem: My files are stuffed! and one major file that is always overflowing and hard to get into is my tear file for magazine pictures that I keep for inspiration and ideas (okay, really it's several files, but who's counting?). Because it's so stuffed, I actually avoid it. I'd rather not look through the pictures because it's such a mess. And what's the point of having an inspiration file if you never get into it? The Solution: A notebook! I love notebooks. While some things are better in a file, other things are better in a three ring binder, like magazine pictures that inspire me. This way I can pull it out easily and browse through it when I need some ideas. And when I tire of a picture, it will be easy to remove. That way the file always stays fresh. As I was purging these unruly files, I realized that my tastes or needs had moved beyond most of the photos I had been saving. So I got rid of those and the ones that remained I slipped into plastic sleeves so they don't keep getting bent up and wrinkled. You can purchase these sleeves in bulk at a large warehouse store like Costco and save a lot of money. Besides, keeping these on hand is a great idea. They hold a ton of things including those little product brochures and paint samples that I like to pick up at the home improvement centers. Now, doesn't that look nicer than a messy file?